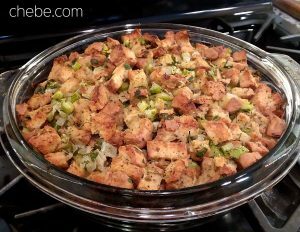 Chēbē gluten and grain free stuffing is easy and awesome! 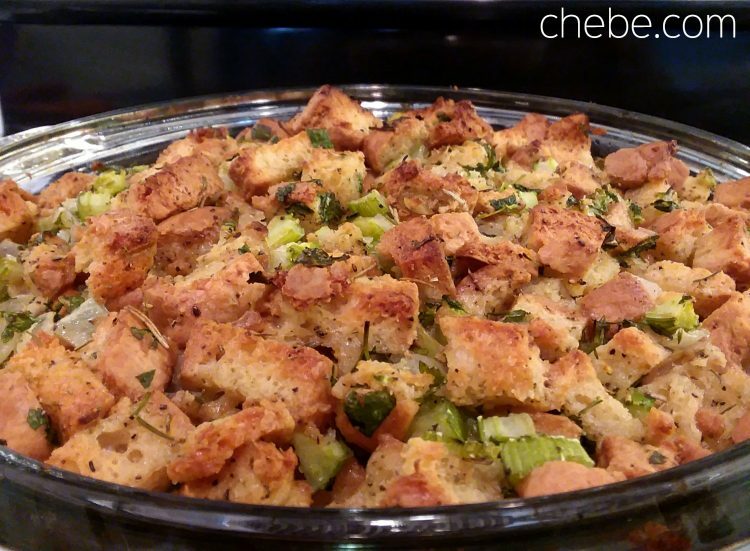 It all starts with Chēbē Croutons. And it can be easily modified if you’re looking for a dairy free and/or vegan option! Preheat oven to 400° F. Blend the salt, pepper, thyme, rosemary and sage in a small bowl. Set aside. 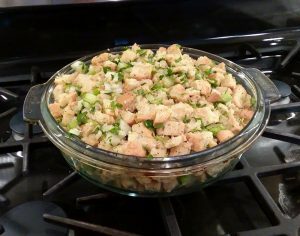 Place croutons in a large bowl. 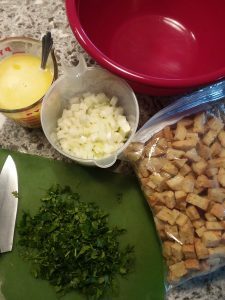 Pour in half of the broth and butter and mix until the croutons are lightly moistened. 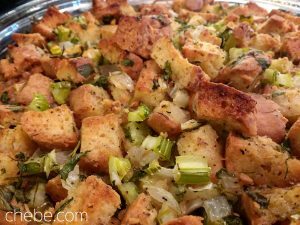 Add the seasonings to the croutons while mixing it all thoroughly. 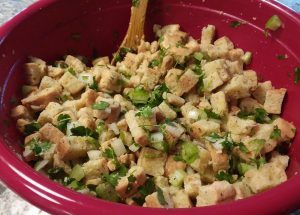 Then add the parsley, celery and onions. Continue blending. Add the rest of the broth and butter and blend thoroughly. 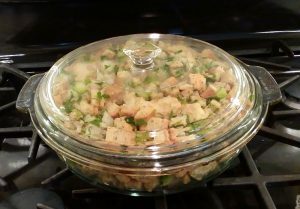 Pour the seasoned croutons into a 2 or 3 quart baking dish. Pack it down if it seems overfilled. Cover and bake for 25 minutes. Remove cover and bake another 15 minutes until the top gets crispy. Ready to serve!